Gateway EP | ViV3K | OK Listen! Multi genre is in fact too simple to represent ViV3K music. Playing around in a wide spectrum of styles and influences from early Indian Carnatic music sessions at age 6 to Deep forest raves with Neuro trance , music was always meant to speak beyond genre, language or country. 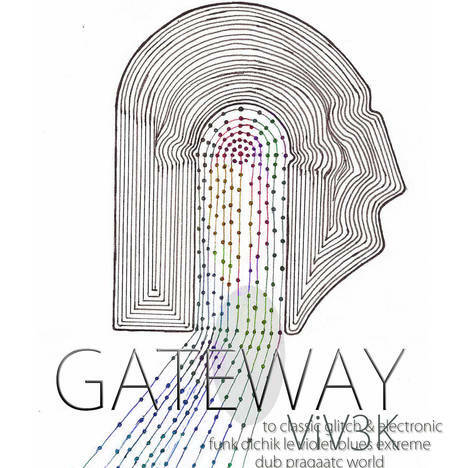 In the Gateway EP , we can clearly see the bass music influences from GlitchHop, Dubstep and a mind twister progressive magic show track called “Love and all” giving a very mystic , indian vibe. Nagumo features SANJEEV T one of India’s top most guitarists working for Oscar Winner A R Rahman with viv3k’s glitchhop version of Carnatic kriti Nagumo. “Angot onnai” is a filthy and massive glitch step track featuring StreetAcademics HipHop Crew. PSYCLE EDUKK 2012 (ViV3K Debut Album) was one of the first initiatives to blend a wide variety of electronic genres with WORLD and Indian folk music collaborating with some of the traditional folklore artists from India.